Kyle Roach Named Student-Athlete of The Week! 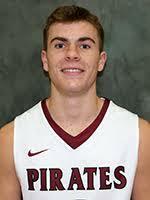 Marin Academy alum Roach named Student-Athlete of the Week at Whitworth! Click here to read more. JV Tennis win SF Jamboree!! MA placed 1st in the round robin JV Jamboree in San Francsico this week!! The team earned the #1 seed for the semifinals and defeated International High School 26-2. In the tournament finals, the Wildcats tied University High School 14-14, but by virture of the tie-breaker in the round robin the Cats took home 1st place!! Congratulations to coach Kent and the boys on a fantastic season!! Winnick Scores in Final Minute! Marin Academy’s Ava Steinle tied the game and Kathleen Winnick scored an unassisted, last-minute, go-ahead goal to lead the Wildcats to a 15-14 victory over Tam on Wednesday. Click here to read more! Boys Prep of the Week - Eric Sachelben! MA Captain Developing into an Exceptional Leader! Click here to read more! Girls Prep of The Week - Lucinda Anderson! Passiona and growth lead to on field success!! Click here to read more! Girls Prep of the Week: Marin Academy’s Jazzaray McClinton! The reigning BCL West MVP controlled the midfield and guided the Wildcats to a league championship with dominating defense. Click here to read more! Wildcats race out to a hot start to the season, winning eight of their first nine games!! Click here to read more!! MA JV Boys' Basketball Win Santa Rosa Frosh/Soph Tournament! The MA JV Boys' Basketball team are champions of the Santa Rosa high school Frosh/Soph tournament! The team went 4-0, beating teams from Cloverdale, Healdsburg, Credo, and St. Vincent de Paul on their route to the title. Congrats to all the players and to coach Lloyd and coach Robinson! Boys Prep of the Week: Marin Academy's Sam Faber! The point guard earned Most Valuable Player honors at the Redwood Christian basketball tournament, scoring 17, 17 and 14 points in the three-game tournament. The Wildcats (3-1) earned their first three wins of the year when they beat More and Gateway before edging league rival Lick-Wilmerding 52-51 to claim the tournament title. Click here to read more! Girls Prep of the Week: Marin Academy's Navi Budhraja! The senior scored 28, 24 and 36 points in games against Drew, Sacred Heart, and St. Bernard’s, respectively, to help the Wildcats win the Marin Academy Basketball invitational. She made 21 of 26 free throws, including 14 of 15 in Saturday’s 63-54 win. Click Here to read more! Marin Academy staves off numerous match points en route to NCS win vs. International!! Goldman's Goal Lifts Marin Academy to Win! Lucy Goldman scored in sudden-death overtime to lead the Marin Academy girls water polo team to a 7-6 victory over San Marin on Wednesday. Madde Bjorklund led the Wildcats with three goals, and Nora Riedinger scored late in regulation. Freshman Kylie Voelker paced the Mustangs with four goals. Inaugural Wildcats Team Swim Across America a Resounding Success!! Nine students from 10th-12th grade, including captain Miya Schilz '20, Javi Esquivel '19, Nora Riedinger '19. Kathryn Whitten '20, Sofia Prieto '20, Luke Chase '20, Jessi Sohn '20, Madeleine Dawson '20, and Sophie Tran-Ryan '21 joined Sophomore Class Dean Jared Baird for the event, leaping off the ship under the Golden Gate Bridge and swimming 1.75 miles to the east end of Crissy Field in San Francisco. The team raised $12,337.33 for pediatric Cancer research at UCSF Benioff Children's Hospitals. Sofia, Miya, and Madeleine were awarded Wavemaker status for raising over $1000. The entire event raised...wait for it...$717,012 for focused research on improving outcomes for children with cancer here in the Bay Area. Thank you to the many who gave moral and/or material support. We'd love to have you join us next year! The Marin IJ presents a team-by-team preview for water polo in the County. See what coach Collie and Gvishi have to say about their exciting young squads! Coach Martinez Reaches Quarterfinals of National Seniors' Singles Tournament! MA Varsity Tennis Coach Geoff Martinez made the quarterfinals of his first National Senior Singles tournament in Michigan last week! After six years away from competition, and two new hips, coach Martinez defeated the #9 and #5 seeds before exiting the tourney. Coach Martinez said, "I had a lot of fun, and didn't get injured!" Way to go coach, Martinez!!! The Wildcats are working hard every day in practice, and cultivating an affinity for the runner's lifestyle as they set their sights on Fresno! Check out the Marin IJ's team-by-team preview of the upcoming Tennis season! Check out the Marin IJ's team preview of the upcoming volleyball season! Congratulations to Henry Maas for being named to the 2017-2018 NISCA/Speedo Boys All American Water Polo Team. GO CATS! Congratulations to Jackson Sell for being nominated at Marin IJ's Boys Lacrosse Player of the Year! GO CATS! With four seconds remaining in Thursday’s North Coast Section Division II championship game, Colin Milliken dished to a cutting Jackson Sell, who buried the game-winning goal in top-seeded Marin Academy’s thrilling 5-4 victory over No. 2 Acalanes at Marin Catholic in Kentfield. GO CATS! The #1 Wildcats defeat the #4 Highlanders, 10-6 to advance to the 2018 NCS Division 2 Lacrosse Finals. GO CATS! The Wildcats got back to basics and topped Head-Royce, 14-7. GO CATS! The Branson Bulls and Marin Academy Wildcats saw each other in the North Coast Section Division II girls lacrosse tournament, with the Wildcats coming out on top, 15-7. Larned posted some big numbers in the cage as the Wildcats have won two of their past three games. Larned made 16 saves in a 12-5 victory over NCS contender Acalanes then made 18 more in an 8-3 loss to Sacred Heart Prep. GO CATS! MA girls lacrosse topped Washington High of San Francisco, 24-2. The Wildcats got goals from 10 different players in the contest. GO CATS! Positve Coaching Alliance, PCA, is a national nonprofit organization with a mission of using youth and high school sports experience to develop Better Athletes, Better People. The Positive Coaching Alliance-SF Bay Area Triple-Impact Competitor Scholarship Award is a celebration of student-athletes who exhibit sportsmanship, character, and are leaders in their school community. Congratulations to Lizzie Ferguson! Paff has been instrumental in the Wildcats’ five-game win streak. The junior scored a pair of goals in a 23-2 rout of St. Vincent, then added one goal and controlled the game via draw controls, ground balls and stellar defense in MA’s 19-12 victory over Branson. Congratulations to Stef Jung `18 for being announced at Marin IJ's soccer player of the year. GO CATS! Giancarlo De Petris scored two minutes into the second half, Kami Jamasbi added a second and the Wildcats kept the Panthers at bay over the final 25 minutes to see out a comfortable 2-0 victory in the North Coast Section Division IV championship game. Staring at a 2-2 score against Branson with 10 minutes left in the North Coast Section Division IV semifinals, the top-seeded Marin Academy High boys soccer team needed something special to keep its streak of reaching the section finals intact. A peek into the boys varsity soccer program with the Mercy brothers. GO CATS! The stat-sheet stuffer finished with 12 points, three assists, six steals and two blocks in a win over Head-Royce, then recorded 12 points, 14 rebounds, seven assists and eight steals in a victory against Sonoma Academy. Two weeks ago, the co-captain notched a triple-double (13 points, 13 rebounds, 10 steals) in a win against Bay School. The senior scored 41 combined points in victories over Drew and Sonoma Academy, helping the Wildcats match their 2016-17 win total (five) just seven games into the season. Kinney is averaging 23 points and six rebounds this season. MA boys Water Polo reached the North Coast Section playoffs first the first time ever. Then they advanced further into the tournament than ever before. Immediately after being eliminated from the quarterfinals last fall, the Wildcats’ goal for this season was created: Win the Division II title. Way to go CATS! A total of 50 players received NSCAA All-American recognition with 32 female student-athletes and 18 male student-athletes representing schools from across the country. Congratulations to our own Ian Buehler on such an accomplishment. GO CATS! Marshall Cummings was the recipient of the 2017 US Lacrosse All American award for this past season. The award recognizes the top players from each region around the country. A senior captain of the Wildcats team, Marshall helped lead the team to the 2017 NCS Division 2 Finals and leaves as the all-time leading scorer in MA history. Marshall will continue his playing career at Middlebury College, a perennial top-10 Division 3 program. The announcement on the Nor Cal Chapter of US Lacrosse can be seen here. Marin Academy sunk No. 6 Bishop O’Dowd of Oakland 15-6 in Larkspur to advance to the tournament semifinals for the second time in three years. GO CATS! Marshall Cummings had four goals and four assists to lead the Marin Academy boys lacrosse team to a 17-4 win against rival University High to claim the Bay Counties League West title. Miles Kelly had three goals and Will Robbins, Jackson Sell, Tucker Grooms and Colin Milliken each scored twice for the Wildcats. The senior captain, who has been the team’s No. 1 singles player the past two seasons, led the Wildcats to their first BCL West title since 2012 by winning in the semifinal and final. Kelley has not lost a match since league play began. The Colgate University-bound senior shot a 73 — tied for low score from a Marin golfer — in Monday’s 40th annual Wildcat Invitational, then fired an even-par 36 to lead the undefeated Wildcats to a 176-256 victory against Urban on Thursday. Buehler’s team accomplished that goal, defeating long-time rival University High of San Francisco in the final. On top of that, Buehler was voted the team’s MVP by his teammates and has been named the IJ’s Boys Soccer Player of the Year. Using strong team defense anchored by a 13-save performance from goalie Ian Larned, the Marin Academy boys lacrosse team surprised visiting Redwood High with a 6-4 victory. Marin Academy boys soccer claim section title! Lane Stervinou, Julian Vasquez and Stefan Jung made penalty kicks to lift the Marin Academy High boys soccer team to a North Coast Section Division III championship game victory against old rival University High on Saturday night. The second-seeded Wildcats (14-3-2) found themselves in a battle against No. 7 St. Mary’s (Berkeley) as the home game remained scoreless well into the second half. Buehler helped create the first goal with a long ball to Leo Biral in the 56th minute then scored a screamer from about 25 yards out to give MA a two-goal lead. The Panthers scored late to set up a nervous finish but Marin Academy saw the game out, securing a 2-1 win and a spot in the semifinals. Two of the top teams in the county collided on Thursday and Ian Buehler’s goal stood as the game-winner in Marin Academy’s 1-0 home win against Tam. The senior converted a layup as time expired to send the game to overtime, where the Wildcats beat Branson, 47-43. The Marin Academy boys soccer team traveled up to Carmichael to face powerhouse Jesuit and managed to emerge with its unbeaten record still intact following a 0-0 tie. Elly Labay made a crucial steal and assisted Lauren Fish, whose shot sent the game into overtime, where the Marin Academy girls basketball team beat visiting Branson 47-43. The No. 2 seed Wildcats are a win away from that possible NorCal final matchup after rolling to a 25-16, 25-16, 25-17 victory over No. 7 Capital Christian of Sacramento on Saturday at Marin Academy in the quarterfinals. In the final set of the NCS quaterfinal match vs. CPS, Phyllis Wattis produced four kills in rapid succession, Livy Lee followed with a pair of emphatic spikes and Samantha Bailey made some key plays at the end to wrap up a 25-16, 25-17, 25-17 victory. Maas '18 helped the Wildcats beat San Marin 11-4 on Tuesday with eight goals, then led Marin Academy to a runner-up finish in the De Anza Invitational. Maas leads Marin Academy in scoring and defense. The Wildcats wint their home opener against the Trojans 3-0. The captain led the undefeated Wildcats, who won the Novato tournament on Saturday after beating Cardinal Newman in the championship. Marin Academy trailed Drake 5-3 with two minutes to go. That’s when Schafer took over, scoring twice and sending the game to overtime, where the Wildcats won 6-5. A day later, the senior scored five goals in a 15-1 win against Tam. Herzog led the Wildcats to an 8-7 win over Redwood, recording four goals and two assists. The Kenyon College commit then scored twice to go along with an assist in a 7-6 victory against Acalanes, the defending NCS D-II champions. Will Bednarz, one of the top golfers in the county, returns for his senior season with the reigning North Coast Section Division II champion Marin Academy Wildcats. MA Boys Varsity Soccer defeat Terra Linda, 3-1, in the NCS Division 3 Semifinals. Despite playing without a league or a home field this season, the Marin Academy boys soccer team finds itself in familiar territory making its appearance in their sixth consecutive North Coast Section championship game. In a game where just five Wildcats were available to play, Budhraja recorded 29 points, 11 rebounds, three assists and three steals in a 54-20 win over Oakland Military Institute. On Monday, the Wildcats turned a 39-28 lead into a 22-point advantage in four minutes, eventually beating host Terra Linda 62-35 in non-league action. The Marin Academy boys team led the way for the Marin contingent with its second-place finish at Saturday’s Division V state cross country race. In his fourth and final varsity season, Fleming has dominated, winning the Bay Counties League West championship a couple of weeks ago before his second-place showing at NCS, where he finished behind St. Joseph Notre Dame’s Cooper Teare. He also helped the Wildcats finish undefeated and win the league title. They won the NCS title by 25 points. Marin Academy Boys Cross Country wins section title! MA took home it's first ever NCS Division 5 boys cross country team championship with the help of Henry Fleming’s second-place finish to win by 25 points! With a time of 16 minutes, 48.5 seconds, Fleming won the Wildcats’ final league meet of the season, helping Marin Academy finish 8-0 in Bay Counties League meets this fall. Fleming has led the Wildcats all season, winning multiple races, including the Jim Tracy Challenge, and placing second in the Division V race at the Stanford Invitational in late September. Marin Academy Girls Varsity Volleyball sweep University at home 25-16, 25-14, 25-23. The wildcats remain undefeated in league with only two more games to finish the season. Way to go CATS! MA's Tommy Atwater was one of several Marin high school lacrosse players who were included on the U.S. Lacrosse NorCal chapter All-America list unveiled in June. Individual excellence was easy to spot when Marin Academy faced Novato High in the second round of the North Coast Section Division II playoffs on Friday in San Anselmo. But, according to Wildcats coach Josh Frechette, it took the group playing as a team before it could earn its most-important victory of the season. The Marin Academy High girls soccer team hadn’t been to the North Coast Section playoffs in three years and for the first 20 minutes or so, it showed. Nicki Strack’s first goal settled the host Wildcats’ nerves and her second one gave them the cushion they needed to defeat Redwood 2-0 and secure their first NCS playoff win since 2011. List of 18 news stories. Eric Ingersoll '18 and Tufts Win NCAA DIII National Championship!! The Tufts University men's soccer team won its third NCAA Championship in the last five years with a 2-1 victory over Calvin College at UNCG Stadium. To read more click here! Eric Ingersoll '18 and Tufts Headed to NCAA DIII "Final Four!" Eric Ingersoll '18 and Tufts Men's Soccer are headed to the DIII "Final Four" after a resounding 4-0 win! Henry Mass '18 Helps George Washington Storm Back to OT Victory in NCAA's! Henry Maas '18 played a pivotal role in helping George Washington men's water polo make history on Saturday, rallying from a five-goal deficit to defeat No. 12 Princeton, 14-13, in overtime at DeNunzio Pool for the school's first-ever NCAA win! Sophomore Summer: Will Bednarz on a roll for the Big Green! Congratulations to Alexia Lema '18 for being a part of the 2018 Women's Soccer roster at Boston College. GO CATS! Trevor Reinhart, as only he can do, competed in his first XC race of the season and made the All-Ivy First Team! Way to go, Trevor! Trevor Reinhart had a banner 2017 track season for Yale University. After finishing in 5th place in the Ivy League Championships in the 1500M, Trevor eventually qualified for the NCAA Division 1 Championships at the University of Oregon. Congrats, Trevor! Frances Swanson '13, a current senior for women's cross country and track and field at Lewis and Clark, won two awards. Following a win for the Mary Hunter Female Multi-Sport Athlete of the Year, she was called back to the stage to receive the Judy McMullen Female Scholar-Athlete of the Year. Congratulations Frances! Whitman's Tai Hallstein swept each of her three individual events Saturday at Harvey Pool in her team's 151-111 victory over visiting Whitworth. Whitworth University’s Kyle Roach, a former standout at Marin Academy, was named Northwest Conference Student-Athlete of the Week on Monday. Paravicini played every game as a freshman, and helped Dartmouth reach the second round of the NCAA Tournament before it was eliminated by Syracuse, 2-1. The trio of Berk Norman (4806 points), Chris Sanders (4776 points) and Charlie Card-Childers (4685 points) finished 5th-7th in the heptathlon, respectively, to earn a combined nine points. Norman, from San Rafael, Calif., set a personal best mark of 4.40m to win the pole vault and also placed third in the 60m hurdles (8.64). Anna was named the Whitman College Athletics 2014 First-Year Female Most Outstanding Performer for her many accomplishments and great play on the volleyball court. USA Cycling announced today the 40 athletes who will represent the United States at the 2015 UCI Mountain Bike World Championships which are slated for Aug. 31 - Sept. 6, 2015 in Vallnord, Andorra. Charlotte was one of 10 Dartmouth College student-athletes to receive academic all-Ivy recognition for the winter season! She received the honors for the second consecutive year for her efforts on the women’s swim team. Charlotte placed fourth in the 100 free relay, ninth in the 100 free and 20th in the 50 free at the Ivy League championships. Isabelle received the Female Freshman Athlete of the Year Award by the New York University Department of Athletics, Intramurals & Recreation for her accomplishments in Women's Swimming and Diving.